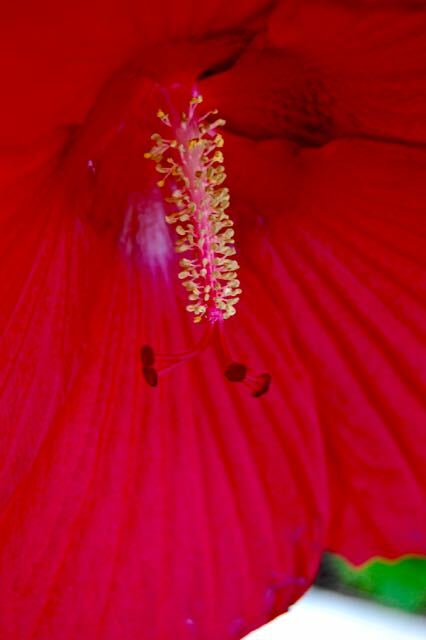 The first time I saw hardy hibiscus or swamp mallow flowers (Hibiscus moscheutos), it almost caused whiplash. Mine. 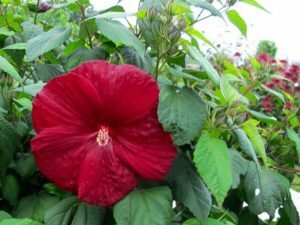 We were driving through St-Laurent on Ile d’Orleans near Quebec City when I spied what looked like a tropical hibiscus. 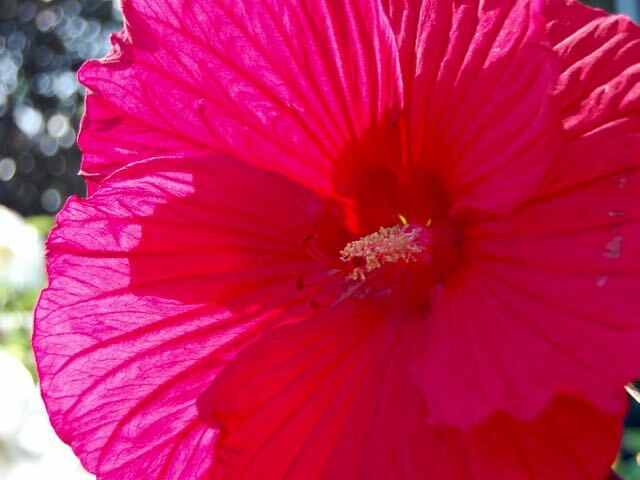 Only the flower was huge. HU-U-U-UGE. What the heck, I thought, this is Zone 4B (Canadian Zone 4B! ), for heaven’s sake. Can they be hardy here? Well, yes, as it turns out. They sure can. But look at the scale! 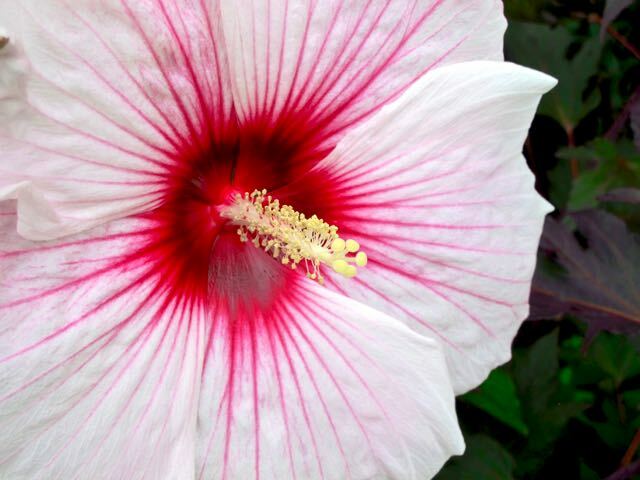 Often described as “dinnerplate sized,” these hibiscus are putting on a major display in August gardens right now. 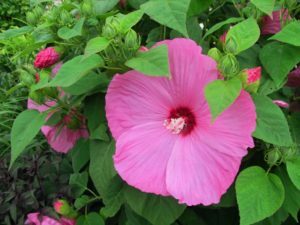 Unlike the sometimes problematic Rose of Sharon (Hibiscus syriacus) we just wrote about, they are not alien, and not potentially invasive. The ones you’ll find in garden centres (or seed catalogs, such as Stokes or Vesey’s) are improved hybrids of an Ontario native plant. In fact, in its native habitat, it’s listed as a species at risk of “special concern“. 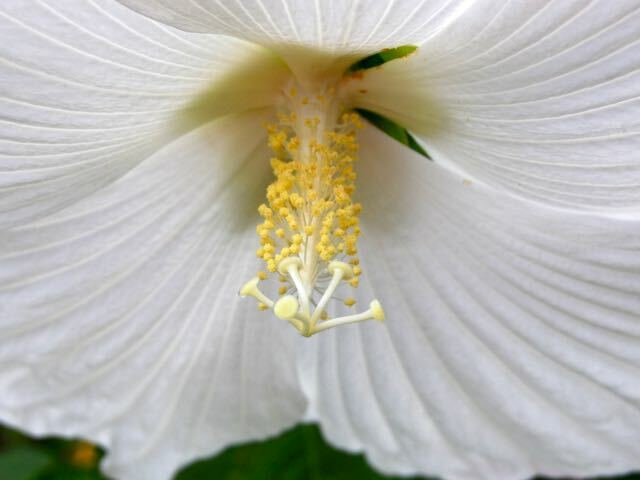 From the name “swamp mallow” you might guess correctly that its native habitat is wet. But the hybrids are better adapted to ordinary garden conditions, provided the soil is kept evenly moist. They’d be great for a rain garden, for example. 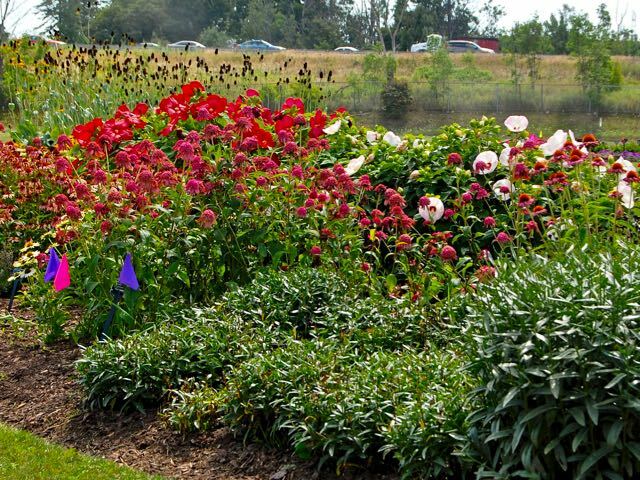 But they also looked lush (see below) in the Landscape Ontario Trial Garden back in 2011 – and Landscape Ontario doesn’t fuss much when they’re testing plants. 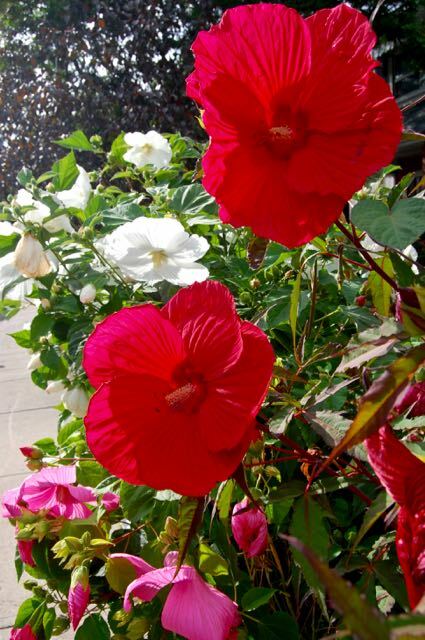 Note the tall red and pinky white hardy hibiscus in the background. Full sun is ideal. Last weekend, we visited Stratford, and before going in to view “the Scottish play” aka Macbeth, I couldn’t help ogling all the hardy hibiscus in the Festival Theatre gardens. 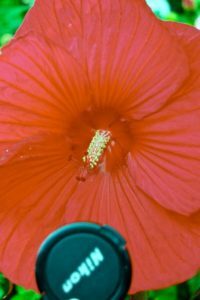 Mouse over the images to see the cultivar names, or click any image for an embiggened slide show. 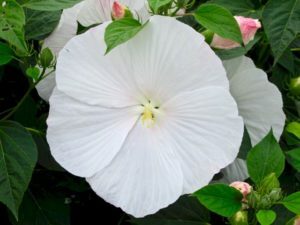 For a fascinating story about the swamp mallow breeding program, see this article on the American Meadows website. Note that, when they say it’s hardy to Zone 4, they mean American Z4, which would be around Z5 in Canada. 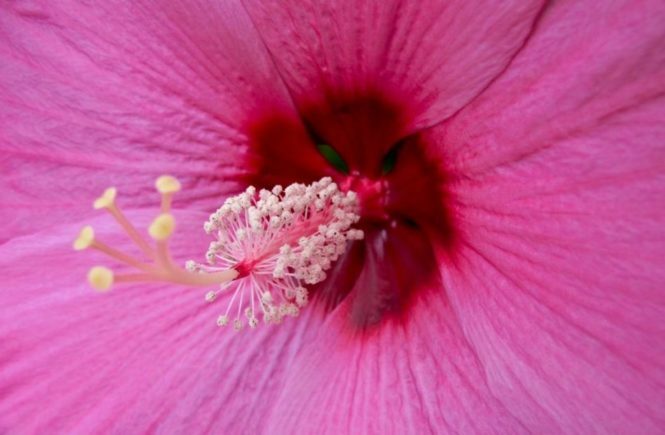 (We explained the difference between U.S. and Canadian hardiness zones in another post.) But remember where I first saw this plant in bloom. Reliable snow cover over winter – or a thick layer of mulch – can have a positive impact on zone hardiness. Update: Oops, I hit Publish before telling you another of the beauties of this flower – how wonderfully it catches the light! Blame the aforementioned mush. Here are the pics. 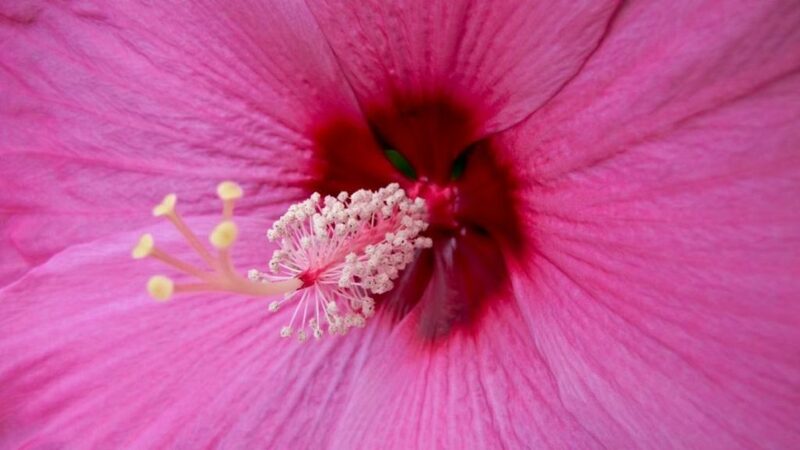 Hibiscus: We grow one, started out as a porch plant. Do you know what a porch plant is ? I checked it out and it said that this plant was a zone 6-7 plant. At that time we were considered zone 5, planted it anyway. It is now 5 or 6 years later and the plant is doing great. John, is this the Hibiscus moscheutos you’re talking about? I know the mallows are a big family — even learned today that okra and cotton (!) are distant cousins.